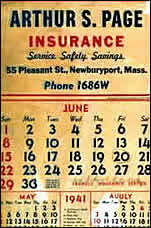 Arthur S. Page Sr. acquired a small book of insurance from Jere B. Lunt, in 1922. 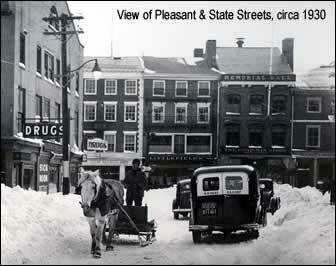 He established an office on the second floor at 21 Pleasant Street. Arthur “Bill” S. Page, Jr. re-joined his father at that location when he got out of the Marine Corp in September 1951. 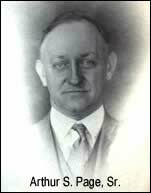 Arthur S. Page, Sr. died and his widow, Ethel M. Page, owned the business. A corporation was formed in April 1952 and a program was created for Bill to purchase the agency over several years. In January 1960, Bill moved the agency to its present location at 57 State Street. This building was the first to be renovated in Newburyport in many years. It was long before “urban renewal” and was accomplished with private capital from local banks. Arthur S. Page III came to work at the agency in 1976. He acquired controlling interest in the stock in September 1993. His father, Bill Page retired at that time. Arthur Page III’s oldest daughter, Jackie, began working full time at the agency in May 1998. 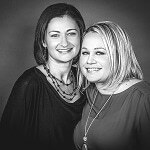 Her sister, Laurie, joined the agency in January 1999. Jackie Page is now the President of Arthur S. Page Insurance, having purchased the agency from her father in the fall of 2005. Laurie Page Knight is the Vice President.